The eternal battle between SaaS website builders and open source platforms is on. Some people still opt for open source software due to its affordability, functionality, flexibility, etc. While being publicly accessible, open source platforms are easy to customize, modify and share. They attract more and more enthusiasts to offer some great new widgets or fine-tuning tools. This fact reserves more space for implementing various web design and feature ideas. On the other hand, what seems to be a good choice, at first sight, might turn into a challenge when it comes to the website building process. Using open source software can be too difficult. The things might get even worse due to a lack of technical support and other crucial issues. This is where SaaS website builder may turn out to be a better alternative. Open Source Website Builders: Myth or Reality? Despite all the popularity of open source software, it has always been surrounded by myths and delusions. This fact results in certain misconceptions whenever you get to the website building process. To avoid any of those, you need to have a clear understanding of what to expect from the chosen platform. It is high time we figured out which of those myths are true and false. Each new upgrade or modification help by third parties or custom developers. Moreover, some website builders do not provide any information regarding any available integrations. Considering the fact, that the platform is relatively new, it seems like they are hoping to generate as many users as they can to show up with some extra charges for widgets and more customization tools. A few things can be free in our world. The product development requires some costs and involvement even when held by enthusiasts. However, there are no particular relations between a user and the platform’s developers. Every time you access the code, you do it at your own risk without any warranty. On the other hand, the vendor can charge extra fees for accessing or modifying the code. It means the developer sells you the right to use and customize the software but not the platform itself. Those who have tried open source platforms at least once would never say so. The software might only seem to be pretty easy at first glance. As a rule, adding or editing content is never a challenge. However, the slights update or customization may require additional technical skills without mention web design modification when accessing software. Setting some plugins can also be rather hard for non-technician. It will take some precious time. For example, it will take you about 4 hours to learn how to use the Silex open source platform and less than 1 hour to learn how to use Wix SaaS website builder. You should never count on 24/7 customer support helpdesk when opting for this type of software. While being open source, the platforms can be used by multiple companies and development teams. They are not obliged to deliver any support. On the other hand, most proven leaders in the niche offer users’ communities, forums, and guides. They come as a huge relief for those who face technical or other issues. On the other hand, the community unites the same users. The answers do not guarantee a quick resolution. Forums can hardly be considered as a professional customer support. Open source software is certainly good when it comes to reliability and digital security. The system offers constant updates you need to handle manually. On the other hand, we should consider the fact that most settings, plugins, and widgets are delivered by third-party development teams and web design enthusiasts. Can you guarantee their products are 100% safe? Hardly. Nevertheless, open source platforms have been serving pretty well since their debut back in the 90’s. We can assume they are reliable enough though nothing is perfect in the digital world. Stunning Templates – Wix boasts probably the widest selection of templates divided into different categories. All templates are mobile friendly. Users will also appreciate the website mobile preview mode. Simple Editing – You can easily edit the website yourself or opt for Wix ADI tool. The AI-based instrument will offer a website layout in accordance with your needs. Wix Dynamic Pages make it easy to create a single web page layout for multiple uses. Wix App Store – Choose from a huge selection of add-ons and widgets to customize your website. The availability of third-party integration adds more flexibility to the software. You can create any type of website adding payment options, analytics, blogging section, etc. All-in-One Package – Once you have chosen a plan, you get hosting, domain, templates and other features totally free in addition to SSL security, unlimited bandwidth and storage depending on the plan. The software has a free plan to let you check if the system meets your expectations. Enhanced Integration – uKit website can be integrated with different CRM to track the leads and conversion rate. It results in wise decision-making. Benefit from advanced customization opportunities and integration with some major third-party services like Analytics, Video, and Audio players, streaming apps, etc. Ease of Use – A simple drag-and-drop feature is perfect for newbies. Combined with an intuitive interface, it brings some user-friendly tools to work on the web page structure, modify blocks, add content and more. Outsourcing Capabilities – uKit Developer Access lets business owners team up with outsource developers, marketers, content managers, etc. We should also mention great design features, multiple template variations, mobile and tablet preview option, and affordable prices. It all makes uKit a great option to build solid small business websites. 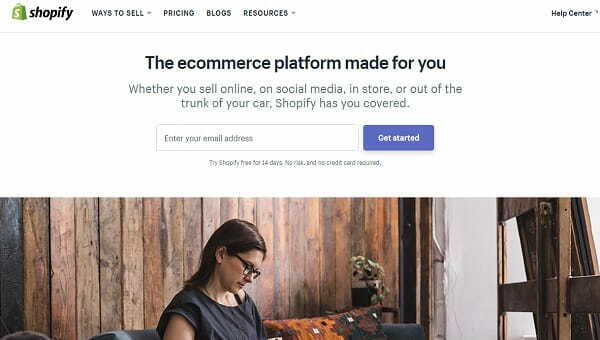 eCommerce Options – Depending on the plan you choose, Shopify will let you access numerous features to customize and manage your future online shop. You can add products, divide them into categories, set the currency, integrate payment options, track sales, implement the simple add-to-cart feature, etc. Promotion Features – enhanced SEO setting make it easy to manage meta titles and descriptions, indicate keywords and phrases. Shopify offers tools to launch successful loyalty programs featuring promo codes, discounts, coupons, Black Friday integrations, etc. Simple Editing – Also Shopify is a bit more complicated if compared to Wix when it comes to editing, it still can be good for non-technicians. If you require more customization capabilities, you are free to access platforms’ CSS in case of necessary knowledge. Stunning Templates – You can choose from various themes and ready-to-use web shops with in-built features, carts, and other functions. Simply edit the product categories, add item images, and start selling online. Shopify is all about eCommerce websites. However, it offers extra options like its great Blogging feature to make the webshop more user-friendly and engaging. Domain Registrations and Hosting Companies – Start your own business by accessing cPanel and IM Creator API. You will get all the necessary tools to provide advanced hosting services in addition to Google Cloud server or you can simply opt for “Host It Yourself” package. Web Design Studios – The package offers all IM Creator CSS facilities with no software’s logo. Create your own business and offer web-designing services on behalf of your own company with access to cPanel. Independent Web Designers – The software lets independent service providers get started with their own branded campaigns within several minutes. The IM Creator installation wizard will come in handy. The platform is pretty easy to use. Designers can create their own customizable stripes and bring their business to a new level. See also: IM Creator review. 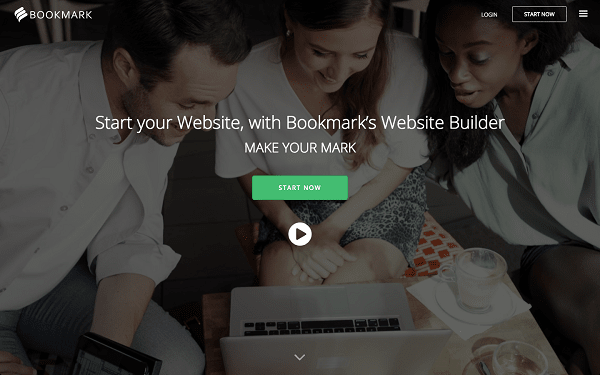 AI-based Technologies – Bookmark introduces its AI Design Assistant or AIDA for short. The system works as your personal helper. Simply choose your business niche from the list provided and insert the site name. AIDA will do the rest offering several website layouts to choose from. 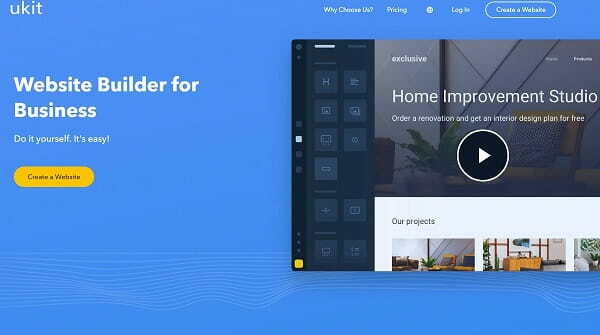 Great Designing Tools – If you still prefer building a website yourself, a Focus option will do the trick. It provides a range of ready-to-use blocks, sections and content styles. Implement engaging subscription forms, customize About Us or Contact section. Easy Editing – You can choose from already-designed modules and blocks to add to your page. They can also be customized, changed or removed any time. The software represents a great balance between simplicity and flexibility. Here you can find a bunch of great eCommerce and SEO features as well as tools to launch marketing campaigns, promotions, and more. Relatively Simple Editing – WordPress is much easier to edit of compared to the rest of CMS platforms. It has a simple interface. You will get used to it pretty fast. Once you have learned how everything works, you will find the website management rather simple. Enormous Collection of Themes and Plugins – One will hardly find a wider selection of plugins and themes to any type of website. Whether you need a solid webshop template or professional blog, you can choose from both free and paid themes and customize them with plugins for eCommerce, SEO, email marketing, etc. Keep in mind that free themes will require some extra customization to stand out. Endless Design Capabilities – Are you good at PHP or HTML? WordPress is right for you. Simple access the editor’s mode through the dashboard and edit the code as you like, add new scripts, shortcodes, etc. 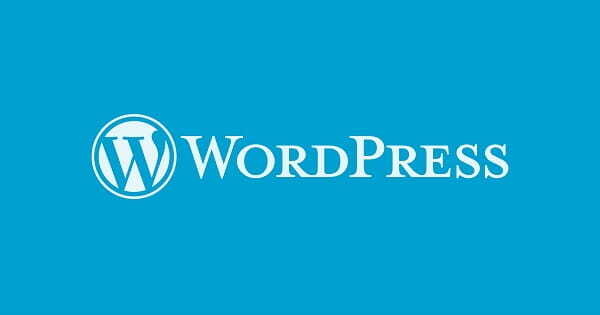 Another great advantage is that WordPress is a totally free platform. However, it offers the only a platform without a domain name or hosting. Moreover, you will need to pay for premium themes and some of the plugins. Fast Installation – Installation the software is fast and easy. You do not need to be a technician. After you are done with the installation, you can start building a new Joomla website. User-Friendly Dashboard – The admin panel has all necessary tools in one place, though you may need some time to get used to it. When you learn how it works, you will find it easy to add new content, categories, and modules. 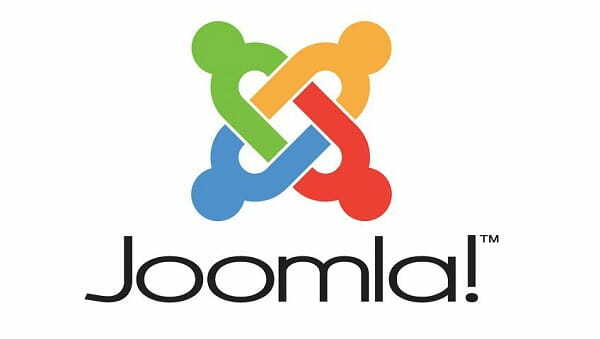 More Functionality – Unlike WordPress where you need a plugin for each and every function for the website, Joomla comes with already built-in features and widgets. However, you can still add some more plugins in case of necessity. The software can do the trick when creating different types of websites. However, you are still required to understand how SQL and PHP databases work. Advanced eCommerce Platform – The system lets you create a solid trading platform featuring users’ accounts, multiple attributes and product variations in addition to custom content pages. Flexibility – Magento boasts enough tools to set up billing, shipping, and invoices through the program. It also stores all necessary stats and data to use them in future and result in better decision-making for the business. Add-ons and Export Tools – Go to Magento marketplace and find numerous add-ons and export tools delivered by more than 150, 000 developers. All of them are the members of a huge Magento forum community. The program was designed to let you build solid eCommerce websites without special coding skills. You should not count on a simple website building trip. Some knowledge will come in handy if you want to edit the code. However, it will hardly be a tough challenge even for a non-expert developer. Open source software might look like a great option considering its affordability, flexibility and some other great features. However, users are very likely to face several stumbling blocks on the way to deploying a ready-to-use website. Despite many years on the web, open source programs are far from being perfect especially considering complex customization and web design tools that require special knowledge. SaaS website builders look like a safer, cheaper and easier solution for non-technicians and those who have a value for time and money. They represent the latest web technologies in the face of AI-solutions in addition to tons of great features and functions. They have certainly proved to be a better, faster and more cost-effective solution to build different types of websites from scratch within several hours.